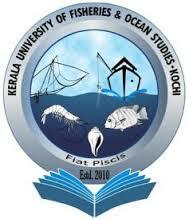 The Kerala University of Fisheries and Ocean Studies (KUFOS) is a university established by government of Kerala devoted to studies in fisheries and ocean sciences. The bill seeking to establish the university was passed by the Kerala Legislative Assembly on 30 December 2010. KUFOS has its headquarters in the premises of the College of Fisheries, Panangad, near Kochi. The College of Fisheries, established in 1979, was a constituent college of the Kerala Agricultural University. KUFOS is the first university in India exclusively dedicated to studies in fisheries and allied disciplines.The university was inaugurated and dedicated to the nation in a function held at the campus of the College of Fisheries, Panangad, on 20 February 2011. § Interested and eligible candidates can apply before 12/06/2017. § Selection Will be Based either Written Test / Personnel Interview / Other Mode by the Kerala University of Fisheries and Ocean Studies KUFOS norms or decision . Interested candidates are requested to apply with bio-data and copies of certificates to prove educational qualification and experience etc. Filled up application should reach to the office of the Registrar, Kerala University of Fisheries and Ocean Studies, Panangad P.O., Pin – 682 506 on or before 4.30 pm on 12.06.2017. Candidates applying for more than one post should submit separate application for each post.